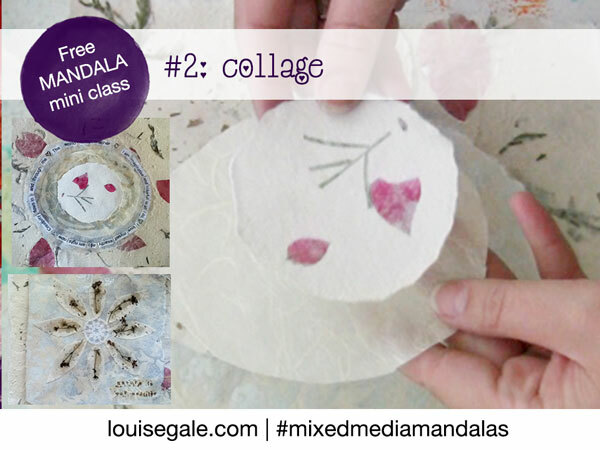 Hi everyone, today I am combining my free mandala class series with Paper Love. So we have two for the price of one! WOOHOO! So today is all about Mandalas and paper together, yummy! Just a small pile of paper! First of all, here is a little video intro to some of my favourite hand-made papers which I’ll be using in the mandala class video below. 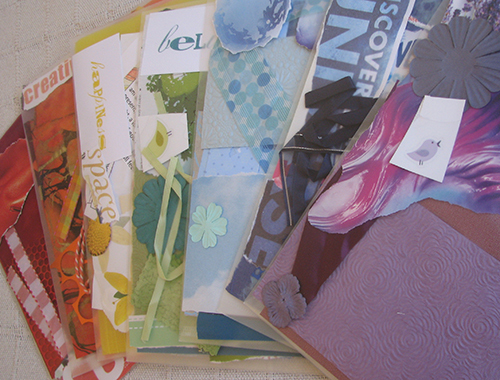 I love love love handmade paper and collect it wherever I can on my travels to add to my stash. I love the texture, the way it tears, the beautiful nature elements and patterns that can be found. I also collect paper from envelopes, wrapping paper, bread bags! 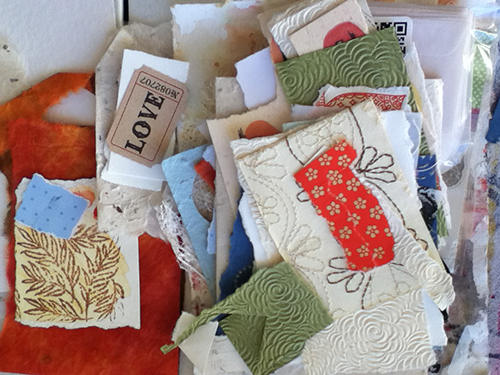 parcels….. basically any scraps of paper go into my paper love stash. For the free Mandala Class part 2, we are using these beautiful hand-made papers to create a very simple circles collage and an 8 point mandala with paper and pressed flowers. If you do not have access to hand-made paper, that is okay. Colored paper, wrapping paper, parcel paper or any other type of paper you can get your hands on would be just perfect! Thank you so much for that post! Lovley videos to. So fun to hear what you sound like!! Love your blog. The look and feel is really nice. 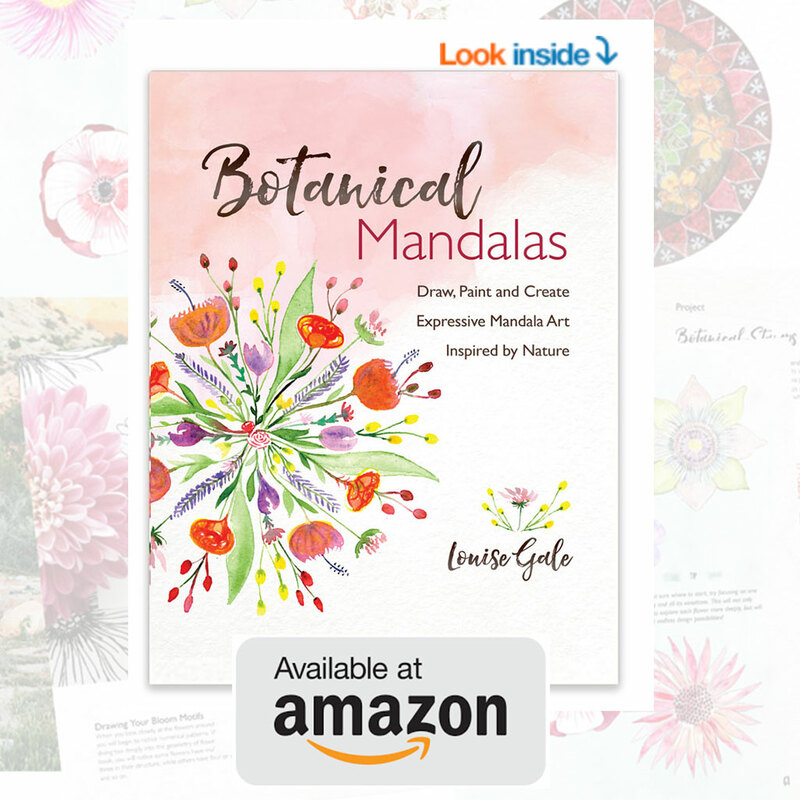 Thanks for sharing about mandalas on the blog hop. Thanks for visiting my blog. This bloghop is so fun, I love your stash of papers and combining it to make mandalas is so creative. Those color energy work folders look fascinating too. Your mandalas are so pretty. Thanks for sharing. 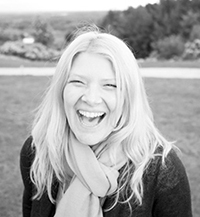 Enjoyed meeting you through the blog hop. Such beautiful papers! I enjoyed your post and plan on coming back for the videos. I am still working my way through the entire hop.